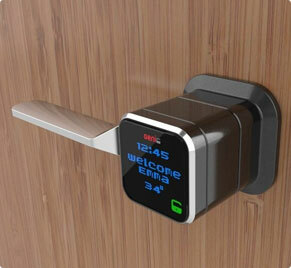 This entry was posted in Residential and tagged events on April 23, 2018 by Locksmith. Sarasota, Florida, is full of rich history, fantastic scenery, and countless events all year-round. This spring and summer, visitors and residents can enjoy several spectacular home and lifestyle events. 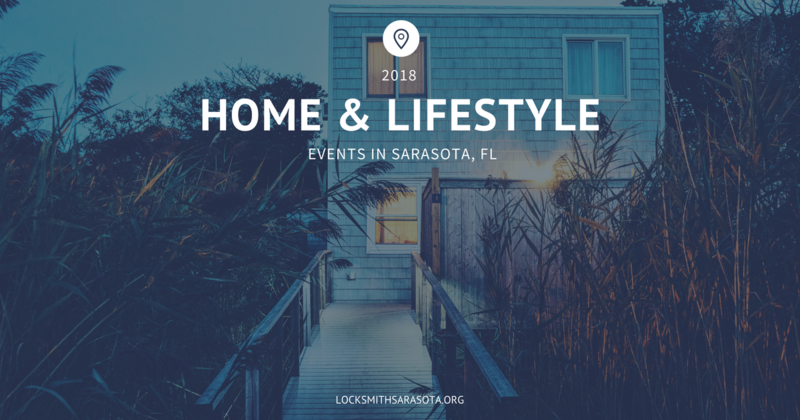 Locksmith Sarasota wants our readers to check out some of the upcoming workshops and classes that may help them get the most out of their homes, so consider the following events as you make your plans for this summer in Sarasota. Paying for home improvements is a great way to increase a home’s market value and for homeowners to enjoy their properties to the fullest. There are several upcoming home improvement workshops that can empower homeowners to take charge of their home improvement projects and produce fantastic results at a fraction of the price. This two-hour class at the UF/IFAS Extension Sarasota County will teach you how to inspect your home irrigation system. If you take the time to learn how to conduct a thorough inspection of these systems on your own, you can save lots of money on future repairs. During this course, you’ll learn how to calibrate your system, adjust the time clock, and other practical tips that will help you preserve your home irrigation system at a fraction of the typical cost. Maintaining a beautiful landscape in Florida can be a challenge due to the excessive rainfall and high humidity, but this one-hour class at the Weedon Island Preserve Cultural and Natural History Center in St. Petersburg can help you get more from the state’s weather with a rain barrel. Attendees will have the option to purchase a fully functional rain barrel, but the course will include instructions for building and installing your own and keeping it in good shape. The center will offer this course again later in the summer, on August 3. The UF/IFAS Extension Hillsborough County in Seffner is offering a three-hour workshop course covering composting, micro-irrigation, and rainwater harvesting. There are two registration sites – one for residents of Hillsborough County and one for people who live outside Hillsborough County and are only open to first-time attendees. This extensive workshop will teach you everything you need to know to get more from your home’s landscape and how to take advantage of natural assets such as compost and rainwater. This hour-long class at the Garden of the Five Senses in North Port offers a full crash course in container gardening. Learn the best tricks for container management, covering, care, and maintenance to get the most out of your home in Sarasota. This one-hour class at the Englewood Sports Complex in Englewood offers even more instruction for properly using rain barrels. Attendees will have the option of purchasing a pre-made rain barrel after the class, and there are additional dates for this workshop through the rest of 2018 on June 16, July 21, August 18, September 15, October 20, November 17, and December 8. The Florida-Friendly Landscaping, Friday workshop series, continues with a one-hour course on home composting at the Weedon Island Preserve Cultural and Natural History Center. Many people are aware of the benefits of composting, but it can be overwhelming to start your own pile. This workshop is an excellent choice if you’d like to save money and produce more stunning results in your home garden with composting. Green buildings are sustainable and more environmentally friendly than traditional buildings are. If you’re interested in turning your business’s building into a green building, then this one-hour workshop at the Twin Lakes Park Green Building is perfect for you. You’ll learn the benefits of going green while receiving tips from the U.S. Green Council’s LEED program. The class will also include a virtual tour of some of the most successful green constructions in the area. June 27: Happy With Your HOA Landscape? Keeping a property in line with a homeowners’ association’s guidelines can be challenging. This one-and-a-half-hour workshop at the UF/IFAS Extension Sarasota County will teach you how to update your outdated vegetation and remake your home’s landscape without violating your HOA requirements. The workshop includes tips for pruning, weeding, mulching, watering, and regular maintenance to make your HOA landscape shine year-round. The third installment of the Florida-Friendly Landscaping Friday workshop series this summer focuses on sub-irrigated planters. Attendees can purchase five-gallon planters after the one-hour course at the Weedon Island Preserve Cultural and Natural History Center in St. Petersburg, and the course will teach attendees how to grow a fantastic vegetable garden at home using sub-irrigated planters. These upcoming Sarasota events are great opportunities to learn more about the landscape, climate, and vegetation in the area, so you can make the most of your home. Composting, rainwater collection, and various irrigation techniques can help you create a stunning landscape around your home or business, and even visitors from out of state can learn valuable tricks to take home. The team at Locksmith Sarasota is committed to unmatched home security and helping our customers get the most from their homes. Be sure to check out our site in the future for more upcoming events in the Sarasota area, and reach out to our team to consider some of the state-of-the-art home security options and services we offer.